The maggot inside an Egg Carrier. Five of these are released upon the Egg Carrier's death. You can only find them after an Egg Carrier's death. Any excess damage inflicted on the carrier will not harm these, nor are they vulnerable when spawning. 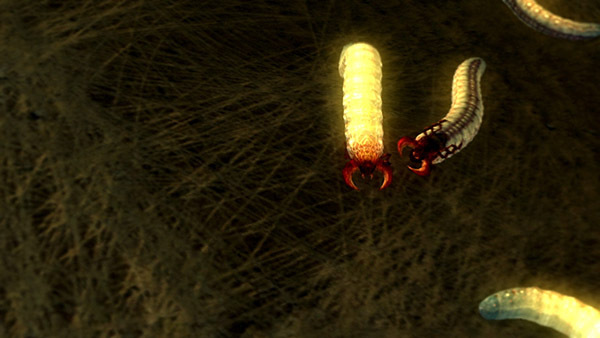 Jumping bite attack - can easily stunlock you if you're fighting multiple maggots and have low poise. Red spray attack - can infect you with Parasite Egg. Standing bite attack - raises its head to chomp your knees. 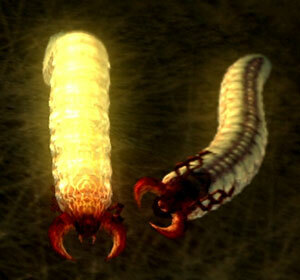 They will swarm you and stun lock you by attacking one after another. It's best to use ranged attacks, AoE attacks, or weapons that swing in a wide angle to kill as many of them as possible per swing. Do not let them corner or surround you as even veteran players maybe be stunned and slain. Individual maggots are weak and easy to kill.